…and a six month life in Jinja, Uganda. The once-a-week (maybe more) update on my IYIP internship in Jinja, Uganda. Thank you to VIDEA for making that amazing opportunity possible and preparing me as best they could for six months in Uganda. ...and a bunch of posts from years ago. He does not know if she wants his services. He does not know if she even cares. He is taking the most direct path without looking at the ground underneath his feet. How is Your LinkedIn Etiquette, Gentle Reader? Non-robotic greetings, turning off notifications that annoy others, and something as simple as being friendly are a part of everyday life. On an online inter-professional sales network, that same humanization leads to more, better relationships. Nonetheless, everyone is tuned to his or her own Radio WIFM (What’s In it For Me) station. Trying to be valuable to others without taking the time to tune in is like delivering a load of products that were never ordered. Two-thirds (a conservative estimate) of a sale has nothing to do with the salesperson. A sale is not automatic – it results from knowing the client is interested, what they need, and how you can deliver it. Blatant, impersonal sales pitches (like that of our aforementioned friend of a friend) tell a succinct story: “you are no more important than the last person I messaged”. Stick to the client’s needs, not your need to make an easy sale. Etiquette ought to carry over to Twitter’ paid connection requests (advertisements asking a user to follow a brand) on networks that allow them. I don’t mind being sold on a corporate Twitter feed, especially if that connection will give me something I want. Target wants to be followed, but the advertisement states no specific offer in the Tweet, nor is there a specific reason why staying “…in the Loop with the Bullseye” has any value to me. “Do it just because” is not an effective sales pitch. Should Promoted Tweets follow a standard of etiquette? Do you agree with my assessment of Target’s tweet? Comment here or Tweet me with your answers. Advancing the plot of life requires action. Success is not inevitable. Neither is failure. Every action has a result, and fearing that result is paralyzing. Fear is a powerful fundamental force. It has served humankind well, though it must be in balance with advancing one’s life. Much like asking a lady (or a gent, if you are a lady) to dance, facing scary situations is far better than allowing paralysis to take over. After all, the worst that can happen is a learning experience (assuming “the worst” has nothing to do with death or dismemberment). New York’s police department could have been paralyzed and never started the “#myNYPD” campaign to begin with. It could have axed the whole thing after negative photos streamed in. It could have run away and never asked for a dance with fear. The campaign started and continued anyway. I have no doubt someone in the campaign creation process realized that negative photos are within the realm of possibility, yet that did not stop the department from taking a leap of faith. It took its best shot at advancing its plot, and might even learn from the experience. Have you faced down paralyzing fear and emerged victorious? I’d love to read a story about it: Leave it in a comment. IPO – What Could It Mean? A private company is free to act however its owners choose, within confines of the law, of course. Until recently, Twitter was privately held. By initiating an initial public offering, the company is now publicly traded. Twitter is now responsible to a beast other than its customers, employees, and owners: shareholders. Shareholders generally buy for one reason: profit and the earnings they can gain from it. Twitter is bringing in money thanks to promoted tweets, accounts, trends, and its foray into TV-linked advertising, but it has never earned a positive bottom line. Pressure is mounting for the company to move its ledgers out of the red. I have no doubt the company’s public offering is related to that fact. No income means dwindling reserves of cash, which is not a sustainable business model – neither is relying on a public offering for money meant to cover operational costs. That implies that the public offering has a purpose other than the need for cash: new minds working on a difficult problem. Buy outs of “undervalued” companies were a common practice in years past – investors with big ideas buying a majority share of a company and attempting to increase its market value for the benefit of shareholders (and themselves). It seems almost as if Twitter’s c-suite was hoping for something similar. No income and an IPO do not mix unless there is hope for something new. Exactly what that something new will be is unclear. The leveraged buy outs I mentioned earlier were not guaranteed successes and sometimes deliberately exploited the company for personal gain, and Twitter’s vast reserves of information are exploitable. It is widely known that Twitter played an extensive role in the Arab Spring thanks in part to its stance on the privacy of information. It is likely the decision to hold back personal information is no accident and comes from the top of the company. Shareholders complicate that matter. The question becomes “what will change for the sake of being profitable”? Facebook is well known for using the vast amount of information it collects about individual users to earn a profit – targeting advertisements on the social network is something many companies are willing to pay for. That use of the information is not dangerous in itself, but selling the information to the spy agency of a citizen-scrutinizing-and-critic-censoring country (Iran, China, Russia, sometimes the U.S., etc) would be. I am fine with Twitter earning a profit (we all need to eat), but not at the expense of its customers personal security. With my knowledge of shareholder function and stock markets, I cannot say for certain what will happen, I just hope Tweeps do not get used and abused by an over-enterprising shareholder or two. So what do you think will happen? How will its IPO change Twitter? Are you a shareholder of the company? Start the discussion in the comments below! Posted on November 18, 2013 November 18, 2013 Categories Business & Marketing, In The News, Social Media, TwitterTags advertising, arab spring, buy out, cash, data, exchange, facebook, income, information, initial public offering, ipo, leveraged buy out, media, new york stock exchange, NYSE, privacy, profit, promotion, shareholder, social media, stock, stock market, stockholder, television, tweep, twitterLeave a comment on IPO – What Could It Mean? Happy Monday, everyone! Last week, I tried an experiment; writing a blog every morning. It was a great experiment, but I am not convinced that I should continue. As such, I am trying a twice-a-week schedule: a Monday-morning catch up on news from the Marketing industry and something else on Friday which will likely depend on the events of each week. Stay tuned! Facebook has added video to Instagram. Yup, it’s happening. Twitter’s app, Vine, has propelled the other social media giant to create a competitor. The Instagram feature allows for 15 seconds of video, and includes the filters that Instragram is so well loved for. I like the upgrade to 15 seconds. Vine seemed like a cool idea, but 6 seconds is very limiting. 15 is the same length as a short commercial on radio, so marketers and advertisers will be able to adapt quickly. Mountain Equipment Co-op has changed its logo. Scary stuff. Personally, I don’t know how well the change will go over. The new logo reminds me of GAP’s logo, though the transparent elements of it could be perceived in a variety of ways. Only time will tell. The scope of the campaign is incredible. I’m impressed that they managed to pull it off. Canadian Tire sells more than just tires, and they’re more than happy to show it. Ottawa’s Scotiabank Place is going to become Canadian Tire Centre. Oh, and Canadian Tire is taking over almost everything at the arena. Sport Chek will be supplying the hockey team, Mark’s work Warehouse (now just Mark’s) will supply staff clothing, the kitchens will become the company’s personal test kitchen, and even the in-area bar will be rebranded as the Sport Chek Bar & Grill. All of those subsidiaries are relatively recent acquisitions for the Canadian company. I have heard that Canadian companies are not aggressive enough in how they do business, at least compared to their American counterparts. This kind of wide-ranging deal is a strong move for a Canadian company, and hopefully the start of a reversed trend. Online advertising is taking over the media buying landscape and providing solid profits. This is no surprise to most of us. The online environment allows for more targeting, more tracking, and generally better spend ad dollars. Thought there is one surprise that I touched on last week: radio advertising spend is on the rise, which is likely due to radios ubiquity, low entrance price, and availability of “hot” stations. By “hot” I mean that listeners are paying attention. As always, the media buying landscape is evolving. Pay some attention to the advertisements you encounter over the next year or so, including what medium you receive the ad. So! What did I miss? What are you watching in the world of marketing? Let me know in the comment section. Hello all! I have decided to add something to this blog: my summary of the morning’s marketing news that comes across my desk. I will aim to have this published every weekday around noon. If you have any suggested sources, please forward them to me. I am always interested in new information. The ubiquitous 140-character text broadcast service had opened its Canadian outpost. It seems like their focus is on business; the article mentions several tools such as Twitter Amplify and Ad Targeting. Amplify is video service that sends “real-time” video embedded in a tweet, and the Canadian office managing director says it will be useful for radio broadcasters. I have no clue how it will manage to be “real-time”, but the concept is interesting. Ad Targeting Isn’t quite what it sounds like. It is a method of engaging people who have just watched a traditional television advertisement to create a community around a show or advertisement. Both tools seem designed to enhance interaction with traditional media. 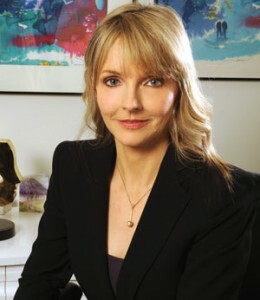 It is worth noting that the managing director, Kristine Stewart, used to work as the executive vice president of English Services at CBC – in fact she only changed jobs in April. It is good to see a veteran broadcaster heading services designed to enhance traditional media, especially in an age when radio revenue is stagnant and television profits are plummeting. As just noted, traditional media is suffering. Marshall McLuhan’s line between hot and cold media is beginning to blur. The drop in television profit, according to the story linked above, is a decline in advertising sales. Television has been hot media in the past, but YouTube’s on-demand entertainment is much more convenient than waiting for your favourite show to come on – and there space for advertisement. Apparently radio advertising sales have increased, despite Canadian radio’s bottom line immobile. News and newstalk stations are staying profitable because listeners are paying attention (beautiful words to any advertiser). Ontario radio stations are the most profitable in the country – not surprising if you know what the 401 highway in Toronto is like. Radio’s lower entry price than television and use as background ambiance in small businesses are also contributing factors to the medium’s continued success. One interesting side note from the linked radio story: CBC alone employs about the same number of people as private broadcasters CTV, Global Television, City and Quebec’s TVA combined. Why is Traditional Still Alive? It isn’t surprising that marketers are sticking with what they know – and what is simple. This infographic says it right: trying to keep up with the data provided by social media is like “trying to drink from a fire hose”. Personally, I like my water in glasses; it’s much more manageable. Media like radio are much easier to define. A station will broadcast specific content that will (with some exceptions) attract a specific audience. Television is the same. When it comes to awareness campaigns based on advertising, a reliable audience is key. However, that doesn’t mean that all new/digital media are hard to use. Google has been busy beating the hell out of other advertisers when it comes to mobile ads. That isn’t surprising: Google’s simple but effective keyword based advertising platform combined with their integrated services (Gmail, YouTube, search, etc) makes it easy to get the right message to the right person. Media literacy. Having a perspective on the media landscape is important so that you – the consumer of media or a business owner using media – can make decisions about what is right for you. Whether you are watching or creating the commercial, a little knowledge can go a long way. What is the most important job skill of the future? The ability to interact face-to-face. The press is tired of bad press releases. Give them a break and get the coverage you want by reading (and memorizing) this style guide. I’ll leave you with an introduction to the head of Twitter Canada. Other than working for one of my favourite broadcast companies (support public broadcasting! ), the managing director is also a foxy lady. Did I miss something? Is my sentence structure awful? Send me an email: russell@rggraham.me. I like Twitter. I’ve already said this once. Nonetheless, it can turn into a gargantuan stream of Tweets that you will ignore like a bad book. That’s why I decided to create this guide on a few simple tools to organize your Twitter feed. Yup. The hashtag. Twitter’s ubiquitous symbol. Definition: The # symbol, called a hashtag, is used to mark keywords or topics in a Tweet. It was created organically by Twitter users as a way to categorize messages. I use them to refine who and what I want to follow, read, and talk about. Some of my personal examples include #guitars, #marketing, and #music. However, my actual use of hashtags is more refined than that. The best part about hashtags is that they work like search terms, so it is easy to refine what you want by using multiple tags. A more refined hashtag search (such as using #rock and #music instead of just using #music) will usually get more relevant results. Once you know what you want to watch and follow, you can use saved searches to find specific new content. For example, you could save a search for #bacon or #driving or #shoes, or #drivingshoes or any combination of search terms (including those without hashtags). Search terms can include users; however, I think that the following method is better for organizing Twitter users you follow. Twitter lists are one of my favourite ways to find what I like and share what I like. It’s easy to set them up while browsing Twitter and following users, but I find it’s easier to use Hootsuite or TweetDeck to display my lists (the next section will cover these platforms). By using lists, I organize the users I follow into something like a text-based television channel. For example, I created a list of the Twitter accounts associated to the CBC Radio shows that I listen to. Other users can also create lists, and those lists can be followed. I follow Alan Cross’ Music News-Biz list and Brian Thompson’s Music News list. If you find content online like I do over the course of the day and want to share it without posting 20 linked articles in the space of half an hour (or if you are using social media for your business), then platforms other than Twitter itself may be what you need. Hootsuite and TweetDeck are well known and widely used for a reason. Social publishing platforms like Hootsuite and TweetDeck allow for feeds of searched terms, lists, individual users, sent tweets, and every other action associated with the Twitter account. They can also schedule posts for a later point in the day, week, month, or year. I have used Hootsuite to manage all my social media accounts. If all you need is a more organized Twitter feed, this is one place to start, though it does include functions that you may not find useful, such as link shortening and analytics. I am still testing TweetDeck. The interface is more straightforward than Hootsuite as it only covers one social network (Twitter). It has more advanced functions like link tracking using bit.ly. I will be testing TweetDeck over the next couple weeks and will report back with my findings. Does that cover everything you need to organize your Twitter feed? Send me a tweet or use the comment box below if you would like help organizing your twitter account. Happy Tweeting!